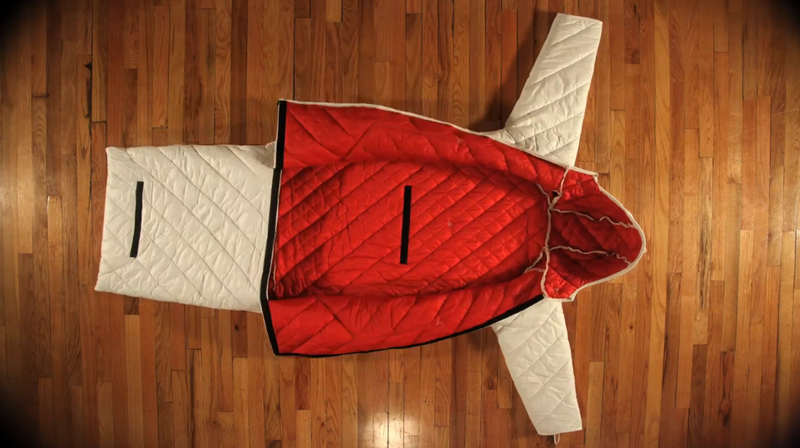 Whilst she was still at school, Veronika (see below) created a product which doubles up as a coat and sleeping bag for individuals who are sleeping rough in Detroit, Michigan. They were a resounding success, but something still wasn't quite right. It was aid, but there was no solution. One day, she found the missing piece - why don't homeless people themselves make the sleeping bag, lifting them out of poverty, equipping them with skills, giving them back self confidence and most importantly creating a sustainable and effective social enterprise? Our first screening is tomorrow!